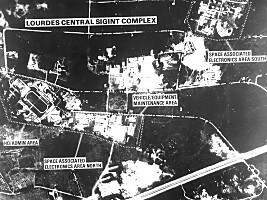 The SIGINT facility at Lourdes was among the most significant intelligence collection capabilities targeting the United States. This facility, less than 100 miles from Key West, is one of the largest and most sophisticated SIGINT collection facilities in the world. 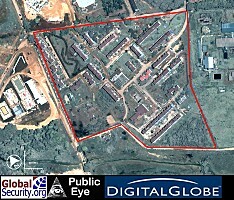 It was jointly operated by Russian military intelligence (GRU), FAPSI, and Cuba's intelligence services. The Federal Agency for Governent Conununications (FAPSI) evolved in the early 1990's from the former KGB's SIGINT service. According to Russian press sources, the Russian Foreign Intelligence Service (SVR) also had a communications center at the facility for its agent network in North and South America. 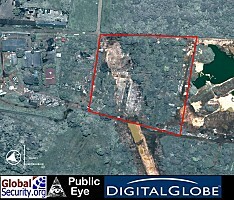 The complex is capable of monitoring a wide array of commercial and government communications throughout the southeastern United States, and between the United States and Europe. Lourdes intercepts transmissions from microwave towers in the United States, communication satellite downlinks, and a wide range of shortwave and high-frequency radio transmissions. 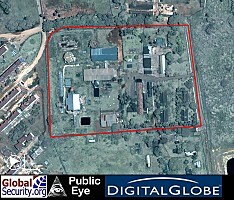 It also served as a mission ground station and analytical facility supporting Russian SIGINT satellites. On 15 July 2003, a US government-funded broadcasting agency condemned Cuba for allegedly jamming US international broadcasts to Iran. 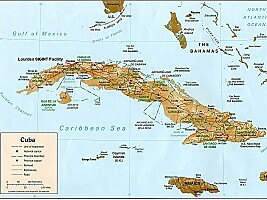 A statement released by the Broadcasting Board of Governors (BBG), an independent federal agency which oversees all U.S. non-military international broadcasting, including the Voice of America, called the Cuban action "a 'deliberate and malicious' effort to block Iranian audiences from getting access to truthful news and information." The jamming was reportedly first detected on 06 July 2003, on the date of VOA's launch of a daily half-hour Persian language television news and analysis program. 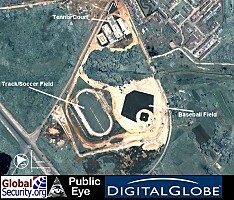 Credit: DigitalGlobe. 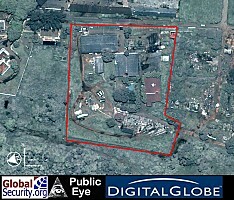 Copyright (c) DigitalGlobe. ALL RIGHTS RESERVED. Contact Tim at 1(703)548-6222 for media permission or purchase. 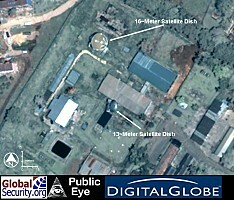 DigitalGlobe is not affiliated with Globalsecurity.org. 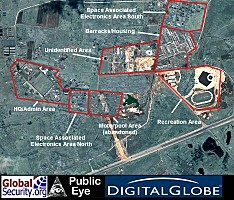 This area was identified by the DoD in 1981 as a "Space Associated Electronics area - North"